A 64-61 second-round Women’s National Invitational Tournament loss to Tulane closed the book on the Tech women’s basketball season. It was a quietly successful slate, one that saw the Jackets win at Duke’s hostile Cameron Indoor Stadium for the first time in decades, notch 20 wins and tread .500 in a conference that is sending Syracuse to the national title game. The team’s success has extended beyond their record. Two individuals, graduating senior guard/forward Aaliyah Whiteside and junior forward Katarina Vuckovic, have garnered national accolades. Whiteside was named an All-American Honorable Mention by the Women’s Basketball Coaches Association, an honor that puts her among the top 52 women’s players in the country. What she has lacked in a national spotlight to showcase her talent this season she has more than made up for in statistics. Despite a talented supporting cast, including the likes of fellow senior Roddreka Rogers, Vuckovic and UTEP graduate transfer Irene Gari, the offense was only as effective as Whiteside, its centerpiece. The Memphis, Tenn., native launched up an astounding 509 field goal attempts over the course of her final campaign, nearly twice that of second-ranked Vuckovic’s 290 tries, courtesy of ramblinwreck.com. Her 216 made free throws accounted for almost half of the team’s total. This volume-based approach meant sacrificing efficiency — Whiteside’s .270 mark from beyond the three-point arc was worst on the team for all players with more than 5 attempts from deep — but on a team with rising talents in sophomores Antonia Peresson, Zaire O’Neil and Imani Tilford and freshman Ciani Cryor, the star senior provided a steadying presence. In reaching All-American status, Whiteside becomes the sixth of her kind in school history, courtesy of ramblinwreck.com. The most recent, guard Tyaunna Marshall, plays for the WNBA’s Indiana Fever, and while Whiteside may not follow in her professional footsteps, the latter will leave a similar legacy on The Flats for future generations. While Katarina Vuckovic proved herself a key cog in Tech’s gameplan this season, her charitable efforts were equally valuable. The Serbian was recognized for her philanthropy in being named to the Allstate Women’s Basketball Coaches’ Association’s Good Works Team for 2016. Teams from all across the country submitted 103 nominations for honorees. Vuckovic was one of 10 to be selected by a panel largely comprised of media and former coaches, including ex-Tech helmsman Bobby Cremins. Her inclusion marked her as the only representative from the ACC. 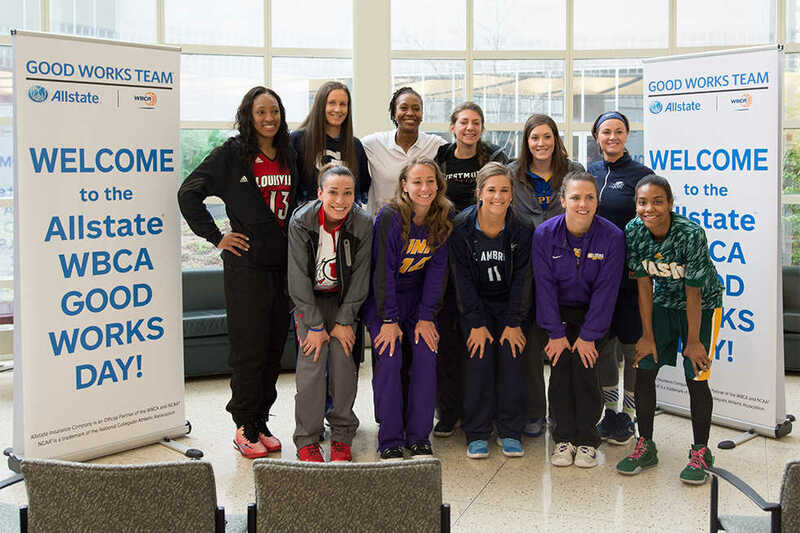 In conjunction with program ambassador and three-time Olympicpic gold medalist Tamika Catchings, Vuckovic and her fellow honorees were honored in Indianapolis during the Women’s Final Four. The Good Works Team also made an appearance at Indiana University’s Simon Cancer Center to offer patients and their families care packages. For Vuckovic, volunteering means more than public image; prior to being named to the Good Works team, she worked with the Ronald McDonald House and helped built a basketball court for local children, courtesy of ramblinwreck.com. Just as Whiteside followed in the footsteps of All-Americans before her, the Jackets are no stranger to service. In 2014, center Shayla Bivins was named to the Good Works Team for her philanthropic commitment. Along with earning a degree and the ACC Postgraduate Scholarship, Bivins served on the NCAA Division I Women’s Basketball Isssues Committee. If she is any indication, Vuckovic will continue to make an impact in the Atlanta community. Despite a number of talented players, Tech is yet to truly make its mark on the local scene. Notre Dame tore through the slate with a 16-0 record against conference foes, while the Jackets sat with the Blue Devils in the middle of the ACC table. If championship contention is indeed off the table, especially in a world dominated by an elite few powerhouses, Jackets fans can at least take pride in the legacies of their athletes, figures who have represented the team with grace. While Vuckovic will return to lead the Jackets next season, Whiteside’s performance in the defeat at the hands of the Tulane Green Wave was her swan song to Jacket fans. Regardless, both will be remembered as difference-makers, on and off the court.